Sir, I have returned to this city in behalf of your friends the faithful Republicans of New York — such men as Lt. Gov. [Robert] Campbell, James S. Wadsworth, Wm. C. Bryant, David Dudley Field, Horace Greeley, Wm Curtiss Noyes, Chas. A. Dana and others, who at Albany and Chicago, and now again here, protest against investing any men with power and patronage, who have exhibited a willingness to pervert official trusts for personal profit and aggrandisement. We desire the appointment of no persons in our behalf, and as the representatives of our views, except those whom we have explicitly recommended. We make no particular point upon political antecedents, though we think it well that they be generally regarded. But we do most earnestly request that we be satisfactorily represented in the appointments at home. We should be glad, if necessary, to add to the considerations already urged upon your attention, in favor of the few gentlemen whose names we have offered for appointments. But, presuming no further in that direction, we only add our fervent hope, that in view of the many foreign and other appointments made in one direction, you will deem it both just and expedient to give our friends, in connection with the Collectorship at New York, the Surveyor also in the person of Henry B. Stanton (as essential to the promotion of harmony in the Custom House,) the Gen. Appraisership to John T. Hogeboom, and the Marshalship of the Northern Dist. to Edward I. Chase; and such other selections from the list we furnished you, as your liberality and wisdom may indicate. ‘Yes, yes,’ said Mr. Lincoln, without stirring. Historian John Niven wrote: “Despite an apparent setback, Seward and his partner Weed would make off with five of the ten senior custom-house posts and a majority of the federal appointments in New York. Chase had the collectorship in the Barney appointment and three of the subordinate offices. In political influence and prestige he and the radicals came off quite well despite the fact that most of New York’s Republican congressional delegation were partial to Weed and Seward.”12 Barney’s appointment did not come without opposition. Although he was close to Chase because of his previous residence in Ohio, he had only lived in New York City for four years and had little local support. The Tribune‘s Charles A. Dana and Horace Greeley preferred George Opydke for the post. Barney appeared to Mr. Lincoln to be a relatively neutral choice. Another factor in New York patronage was Governor Edwin D. Morgan, who was also chairman of the Republican National Committee. Morgan’s secretary wrote Navy Secretary Gideon Welles: “I have learned directly and authentically that Gov Morgan would like to be consulted with reference to the New York appointments and will go to Washington if requested to do so by the President or some one authorized by him. In saying ‘would like to be consulted’ I perhaps understate the matters. He feels that he ought to be consulted, though I gather the latter from no distinct statement to that effect on his part. He has, I know, expected it…He knows that Mr. Weed was recently requested to return there by the President and he feels that without saying anything against Mr. Weed, he has as good a claim to such an honor as he.”13 But Mr. Lincoln’s primary contacts in patronage decisions were members of Congress, not Governors. Governor Morgan had to wait until he became “Senator Morgan” in 1862 to exercise real patronage clout. “I have read Mr. Bates’ note — and I have only one word of comment. Long before this question arose or at least before I knew that it would arise I took the ground in the case of the Indiana Post Office, that one member of the Cabinet ought to defer always to the opinion of another in regard to local appointments in the state of the latter. So I have refrained from any interference …in other states. If the magnitude of New York City and its Custom House patronage, render an exception necessary, or political wise, I do not, as you know dissent, because 1st, it was understood that it should be so, & 2d because I can count no especial disappointment. President Lincoln had to focus on the minutiae of patronage at a time of national crisis — in the weeks before and after the firing on Fort Sumter on April 12, 1864. 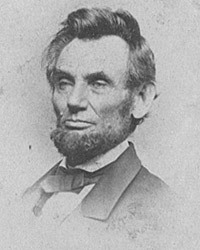 The criticism that Lincoln gave too much time to patronage, especially during the early weeks of his administration — time that could have been utilized to effect a settlement with the South before the opening of hostilities — is perhaps not entire justified,” wrote Harry J. Carman and Reinhard Luthin in Lincoln and the Patronage.20 They quoted arguments made later by Secretary of the Navy Gideon Welles: “in striving to reconcile and bring into united action opposing views he [Lincoln] was accused of wasting his time in a great emergency on mere party appointments. Under the pressure and influence that were brought to bear upon him some things were doubtless done, which, under other circumstances and left to himself he would have ordered differently. Extensive removals and appointments were not only expected, but absolutely necessary, yet never under any administration were greater care and deliberation required.”21 Such decisions were particularly important at a time when not only political loyalties but patriotic loyalties were questioned. In mid-April, President Lincoln wrote out a slate of New York appointments, in which “SW” clearly means the Seward-Weed group, “R.D.” seems to indicate “Reformed Democrat” and “Am” may suggest a connection with the Know-Nothing movement. The termination of Taylor waited until 1862 when Abram Wakeman replaced him. The suggestions of your note accompanying the commission for Mr. Dennison as naval at New York have been considered in the same spirit of kindness in which I know they were offered. They present the very difficulty which has embarrassed me from the first in the case: that Mr. Dennison has not the position in the public eye which would lead to the expectation of his receiving so high an office. I believe I have told you fully what it was, and is, that pressed me to appoint him: the urgent solicitation of an old friend who has served me all my life, and who has never before received or asked anything in return. His (Mr. Dennison’s) good character was vouched for from the start by many at New York, including Opdyke. At length, when I was, as it were, in the very act of appointing him for particulars, and it turned out that Mr. Dennison in his business as a lawyer had got some printing done for his clients becoming personally responsible for the work, and hand not paid for it when dunned. While this, if true, is certainly not to be commended. I believe the like might, in some cases, be proven upon me. They are a class of debts which our clients ought to pay, and when we are personally dunned for them when we sometimes hang fire. Besides, Mr. Dennison went far toward a satisfactory explanation of one case; and while Mr. ____ intimated that there were other cases, he did not specify them. Briggs had been the point man for inviting Mr. Lincoln to deliver his Cooper Institute speech. Opdyke wrote: “Mr. Briggs, I would most respectfully submit, richly deserves this, or some equally complimentary, recognition of his public services, and especially as for the position indicated he possesses the very best qualifications of character and competency — I earnestly trust that in view of the public interest as well as of Mr. Briggs merits you will favorably consider this application on his behalf.” On September 1, Mr. Lincoln wrote an endorsement on the letter: “If this office has not already been filled, I should be very glad to appoint Mr. Briggs, whom I personally know-“32 The appointment went to Cephas Brainerd, who was part of the same Young Republican committee that sponsored the address and who participated in annotating it for publication. 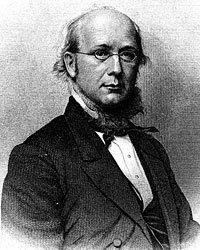 William Harlan Hale, Horace Greeley: Voice of the People, p. 235. Abraham Lincoln Papers at the Library of Congress. Transcribed and Annotated by the Lincoln Studies Center, Knox College. Galesburg, Illinois. (Letter from Thomas B. Carroll to Abraham Lincoln, March 23, 1861). Ralph R. Fahrney, Horace Greeley and the Tribune in the Civil War, p. 66. Gideon Welles, Lincoln and Seward, p. 71-73. George H. Mayer, The Republican Party, 1854-1964, p. 91. Abraham Lincoln Papers at the Library of Congress. Transcribed and Annotated by the Lincoln Studies Center, Knox College. Galesburg, Illinois. (Letter from William H. Seward to Abraham Lincoln, March 26, 1861). Ralph R. Fahrney, Horace Greeley and the Tribune in the Civil War, p. 66 (Letter from Horace Greeley to B. Brockway, March 12, 1861). Harlan Hoyt Horner, Lincoln and Greeley, p. 196. Charles A. Dana, Recollections of the Civil War, p. 26-27. Sidney David Brummer, Political History of New York State During the Period of the Civil War, p. 137. John Niven, Salmon P. Chase: A Biography, p. 240. James A. Rawley, Edwin D. Morgan, 1811-1883: Merchant in Politics, p. 133 (Letter from G. Bliss to Gideon Welles, March 19, 1861). Glyndon Van Deusen, William Henry Seward, p. 275. Sidney David Brummer, Political History of New York State During the Period of the Civil War, p. 138. Frederic Bancroft, The Life of William H. Seward, Volume II, p. 357 (Letter from Salmon P. Chase to William H. Seward, March 1861). David Mearns, The Lincoln Papers, p. 502-503 (Letter from William H. Seward to Abraham Lincoln, approximately March 30, 1861). Frederick J. Blue, Salmon P. Chase: A Life in Politics, p. 140. Frederick J. Blue, Salmon P. Chase: A Life in Politics, p. 141. Harry J. Carman and Reinhard H. Luthin, Lincoln and the Patronage, p. 335. Harry J. Carman and Reinhard H. Luthin, Lincoln and the Patronage, p. 335-336 (“Two Manuscripts of Gideon Welles”, The New England Quarterly, Volume XI, September 1938). Roy P. Basler, editor, The Collected Works of Abraham Lincoln, Volume IV, p. 334 (circa April 15, 1861). Abraham Lincoln Papers at the Library of Congress. Transcribed and Annotated by the Lincoln Studies Center, Knox College. Galesburg, Illinois. (Letter from Montgomery Blair to Abraham Lincoln, October 21, 1861). Glyndon Van Deusen, William Henry Seward, p. 372. James M. Trietsch, The Printer and the Prince, p. 167-168. Roy P. Basler, editor, The Collected Works of Abraham Lincoln, Volume IV, p. 296 (Letter to Robert Irwin, March 20, 1861). Roy P. Basler, editor, The Collected Works of Abraham Lincoln, Volume IV, p. 374 (Letters from Parke Godwin to Abraham Lincoln, April 15, 1861 and April 20, 1861). Roy P. Basler, editor, The Collected Works of Abraham Lincoln, Volume IV, p. 373 (Letter to Salmon P. Chase, May 18, 1861). Roy P. Basler, editor, The Collected Works of Abraham Lincoln, Volume IV, p. 361 (Letter to Salmon P. Chase, May 8, 1861). Gideon Welles, Diary of Gideon Welles, Volume I, p. 178 (October 18, 1862). Abraham Lincoln Papers at the Library of Congress. Transcribed and Annotated by the Lincoln Studies Center, Knox College. Galesburg, Illinois. (Letter from George Opdyke to Abraham Lincoln , August 23, 1862).